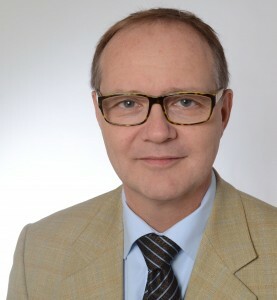 Dr. Thomas Roland Dietrich becomes Chief Executive Officer of the IVAM Microtechnology Network. At its meeting on October 18, the five-member board confirmed the appointment of the postdoctoral chemist as executive with effect from January 1, 2014. Thomas R. Dietrich succeeds Monika Kremer who has been responsible for the interim management since mid 2012 with focus on the coordination of investment and financing decisions. Dietrich’s task is now to implement the board’s strategy in the operating day-to-day business. The main focus is to fully tap the potential of microtechnology in relevant target markets. “Within the next few months, we will intensively work on improving the access to international markets for our members and enabling networking between international associations and customers”, explains Dietrich. After his graduation and doctorate at Goethe-Universität Frankfurt, Dietrich started his career as group leader for photolithography and etching processes at the renowned Institut für Mikrotechnik Mainz (IMM) before he founded his own company mikroglas GmbH in 1996. He has worked at mikroglas GmbH/AG as managing director and chairman of the board up till now. Since 2003, he has been holding a lectureship for micro process technology at Kaiserslautern University of Applied Sciences and is also voluntarily active in evaluation activities, committees and stakeholders groups like DIN and Dechema.